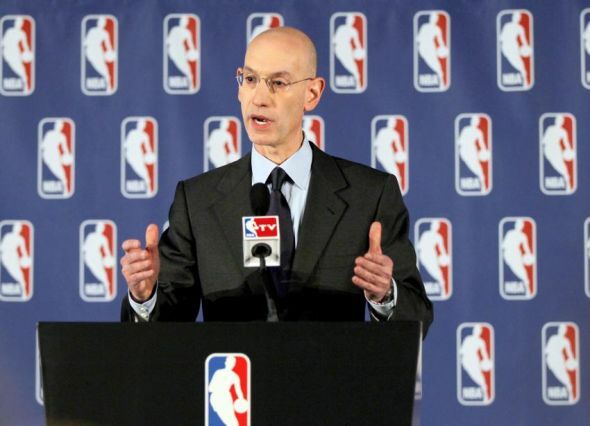 In the wake of Donald Sterling’s eviction from the NBA, a lot has been made about Adam Silver’s reaction. Some have applauded his decision, others think it won’t help a damn thing, and a few find it to be a violation of certain inalienable rights. I think Adam Silver made an easy call when it was certainly the most agreeable to do so. For some reason, this has been read by some as an indication that Silver had the better judgement to do what David Stern did not. Let’s re-evaluate this though: if those tapes did not come to the surface, Sterling would still be a despicable guy holding ownership over one of Los Angeles’ hottest sports entities. 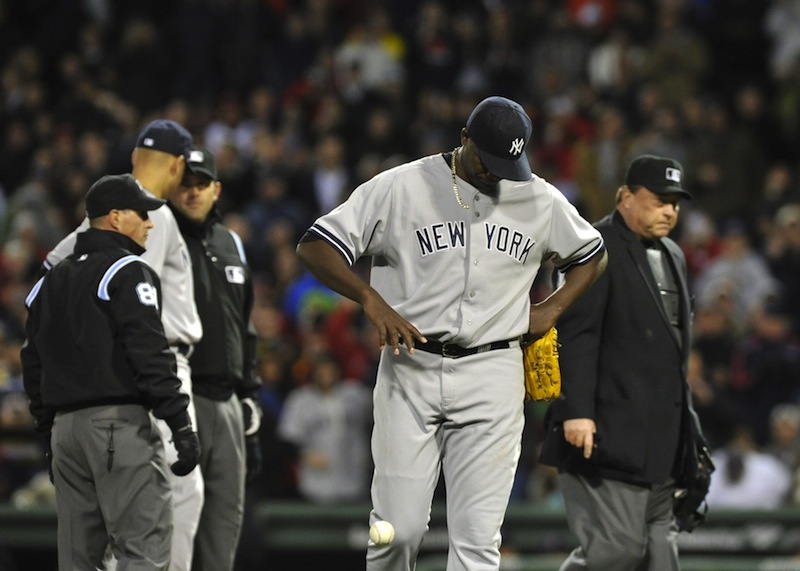 Let’s give the Boston Red Sox a round of applause for the team’s collective acting performance following Michael Pineda’s first pine tar incident. Give them all Oscars, Emmys or those little participation trophies your cousin gets for being in the school play. The entire team pretended like it was no big deal and goaded Pineda into pulling the same stunt again, making certain the second time that the New York pitcher was promptly removed from the game. Genius. Evil, but genius. That was my assessment of the situation, as I watched the home plate umpire wipe pine tar from Pineda’s neck like a mother trying to clean a newborn child that has yet to master the art of inserting a spoon into its mouth. I’m a devout Yankees fan, but game had to recognize game, and Boston seemed to have turned its mind game up a notch when they convinced Pineda it was safe to lather his pitches with pine and let ‘em rip. But that’s not how the larger baseball community saw it. Let’s talk about the playoffs. 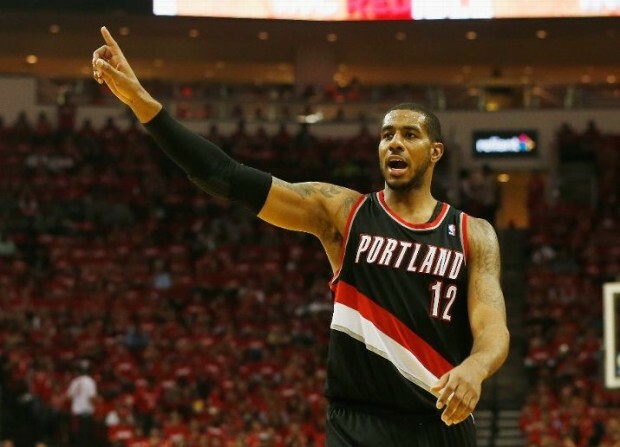 LaMarcus Aldridge is staking his claim as the best power forward in the game. Blake Griffin, meanwhile, is shakily maintaining his throne after a disappointing first game against the Golden State Warriors. Chris Paul’s family lineage indicates a history of assistance, but the fourth quarter is when he takes it all upon himself. The Mavs are stressing out the usually unflappable Spurs, whose now 38-year-old anchor must take more responsibility. Wizards gonna Wiz, and Grizzlies gonna Grizz. The Hawks are up on the toast of the East, the Indiana Pacers, and their defensive master has more in common with Russell Stover than Bill Russell. The Thunder are not dominating as usual. Even the Bobcats are pushing the mighty Heat, with Al Jefferson trying to do his best Willis Reed impersonation. This is the first round of the NBA playoffs. Does it get any better than this? One of the most consistently entertaining teams in the league this season has been the Golden State Warriors, with the long-range bombs of Klay Thompson and Stephen Curry, as well as the lockdown defense and all-around excellence of Andre Iguodala, contributing to the spectacle. 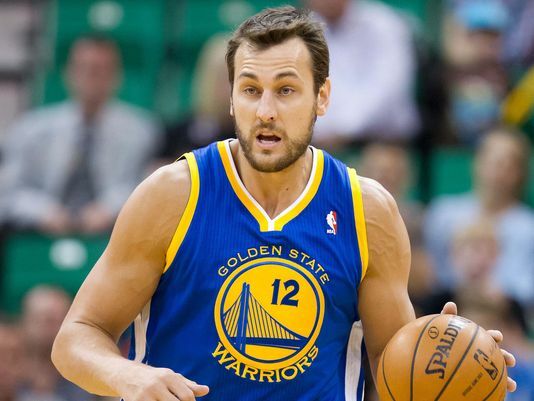 The sixth seed in the mighty Western Conference will face the Los Angeles Clippers in the first round, which looked like a deceivingly even matchup on paper until a rib injury removed key cog Andrew Bogut from the lineup. Elsewhere, I promise this is the last time I talk about the New York Knickerbockers basketball franchise until the end of the playoffs. Also, the Pacers are in dire need of a renaissance from both Paul George and Roy Hibbert if they want to make their date against the Heat in the Eastern Conference Finals.